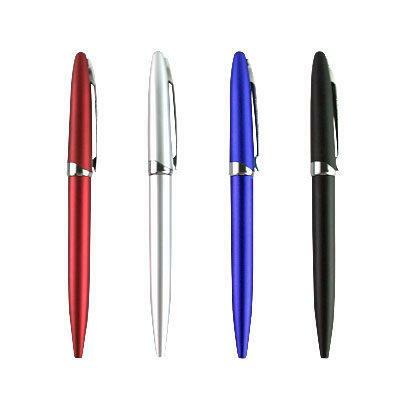 Metallic Plastic Ball Pen. 0.7mm refill. Black ink. Color: Red, Silver, Blue, Black.